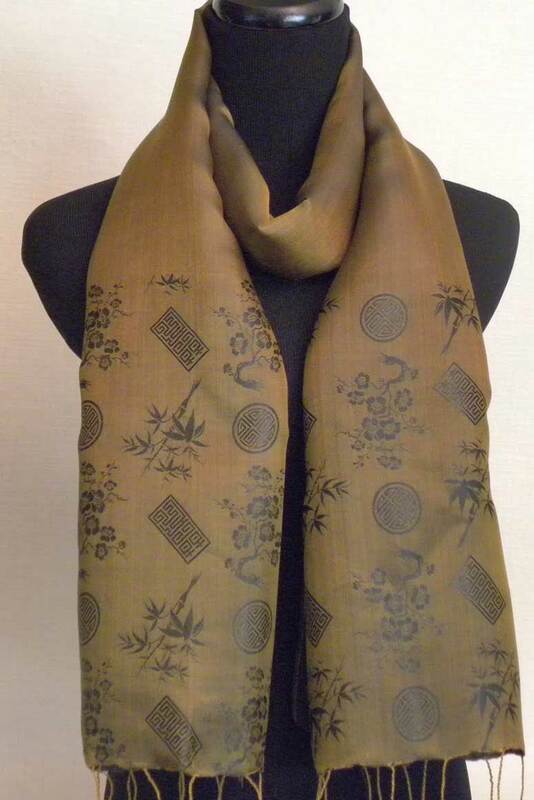 The pattern on this silk scarf incorporates traditional Vietnamese images of a bamboo tree and apricot blossom. 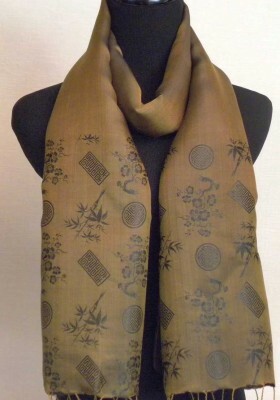 The patterns on these luxurious silk scarves are simple way to add elegance and finesse to your wardrobe. 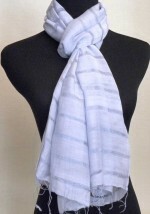 Worn with a simple solid color top, this beautiful scarf will complete an outfit. You will look pulled together with almost no effort.